Here on the Big Island, we’re blessed with several spectacular luxury resorts in which to buy property, including Hualalai, Kukio, and Mauna Lani, among others. I’ve sold spectacular estates in several of these exclusive Hawaii resorts and can attest to the wonderful amenities and properties in each. When people ask me what is my favorite Big Island resort, they’re often surprised when I say Hokulia, because this secluded community south of Keauhou is not as well known as the resorts on the Kohala Coast. Built just south of Kona, Hokulia is a small gated enclave comprised of approximately one-acre lots priced between $399,000 and $2,500,000. Right now there are only eight completed residences, with four under construction. There’s a lot of activity in Hokulia these days and people are moving forward with building their homes now that litigation surrounding the community has been resolved. People are excited and you can feel that enthusiasm in the air. One of the things I feel that sets Hokulia apart from other Big Island resorts is its location – it’s the only resort south of Keauhou. Secondly, it doesn’t have a hotel attached to it, so the community doesn’t have the same feel as say, resorts farther north along the coast. And the weather at Hokulia is spectacular. Built at elevation above Keauhou Bay, the climate is nice and cool and it’s often out of the vog. It’s simply perfect weather. Currently, there are some really neat things going on in Hokulia. Chief among them is the extensively remodeled Pavilion that just reopened last week. New owners Kona Sun Ventures, LLC took great care renovating the Pavilion, which features a new restaurant and bar, an expanded lanai (deck) complete with fire pit. What’s more, Hokulia management added two regulation size bocce courts with official oyster shell base. Available only for Club at Hokulia members, it’s a great place to unwind with friends, relax after golf, or host a family get together. Upgrades to the fitness center, a lap pool, the children’s pool, tennis courts, and other facilities are scheduled to start in early 2015. Another reason I enjoy Hokulia is the sense of community. Residents here love to meet and get together for a variety of activities. My husband and I have been members of the Club at Hokulia for years and have gone to many wonderful parties, events, and dinners here over the years. And of course the golf is the best! 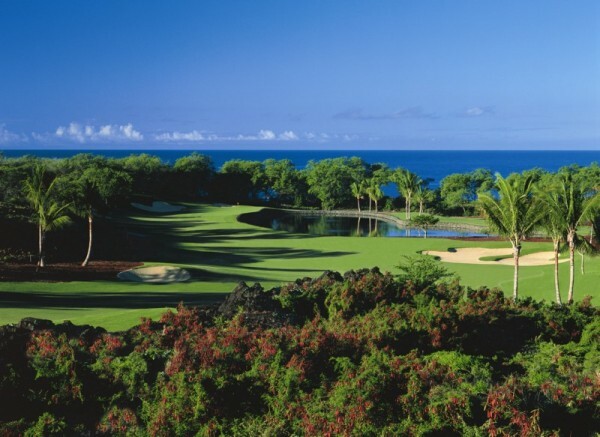 Hokulia is home to an 18-hole Jack Nicklaus Signature Golf Course. 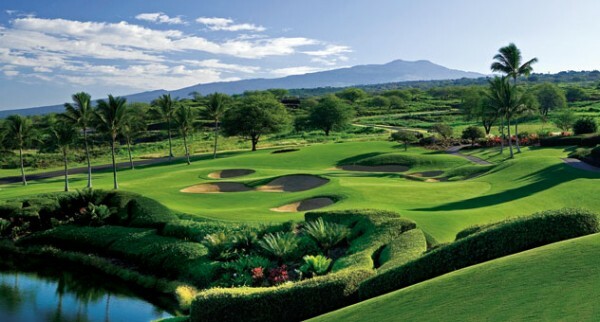 The Club at Hokulia hosts several golf tournaments and other activities throughout the year, including senior skins dinners. Next month, during the first week of November, is the annual “member-member golf tournament.” There’s also a men’s golf group that plays once a week and they have a women’s group that plays golf regularly as well. There’s always plenty to do here in this community and the residents really enjoy spending time with their neighbors. If you’re looking to retire to Hawaii and would like more information on Hokulia or other Big Island properties for sale, give me a call today at (808) 937-7246, or email me.